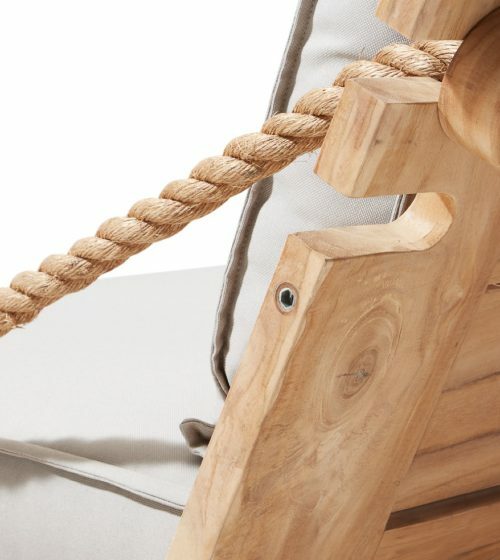 Sako and Tineke have been passionate about garden furniture since they were young. Unsurprising, considering the fact that their father worked in the furniture sector all his life. After his interior design study, Sako quickly realised that you only truly come into your own as a designer when you are able to create your own designs. With this in mind, brother and sister joined forces in 1993, founding Double You Meubelcollectie BV together. With each of them building on their own qualities, this cooperation became the fertile foundation of a new family business, featuring innovative products. Where Sako is concerned with the design of the new collections, Tineke is primarily concerned with purchasing, managing the employees, and looking for innovative new ideas to improve their business practices. Taking each other’s needs into consideration is a guiding principle at Apple Bee. To Apple Bee, a quality product does not simply refer to the quality of the materials used to make the product; it also refers to the attention that is paid to the circumstances in which the furniture is created and sold. The daily contact with the suppliers in Asia, adapting to the wishes of its customers, and responding properly and adequately to customer complaints are just a few examples of this consideration. By investing in its relations and through various collaborations, Apple Bee consistently achieves a high level of quality. That many relationships go back more than twenty years is proof of the success of these investments. For Apple Bee, it is only natural that the very best materials are used; materials such as teakwood, high-end aluminium, and handwoven wickerwork. The production of the wickerwork and the aluminium take place “in-house”. This means that Apple Bee is not dependent on external suppliers. As such, Apple Bee can safeguard the quality of its products and develop the designs itself. All seat and back cushions provide excellent sitting comfort. On top of that, Apple Bee offers the option of choosing the unique Bee Wett technology, which ensures that your cushions do not take up moisture. In this manner, Apple Bee combines pleasure and free time together to form “Pleasure Design”. Apple Bee’s vision is to allow its customers to enjoy their garden furniture for as long as possible. Through proper cooperation, the use of quality materials, and innovative design, Apple Bee provides sustainable garden furniture. As a result, you can enjoy your Apple Bee products in your free time for many years to come.